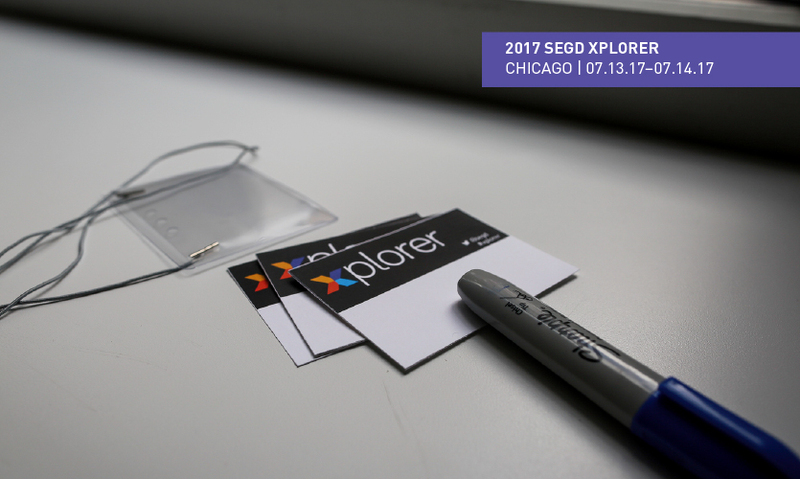 Don't miss out on the 2017 SEGD Xplorer event next week in Chicago! During this two-day event, attendees will have the chance to tour local studios, then engage with digital experts in an intensive, hands-on workshop. 1. Xplorer Digital Bootcamp is a small, hands-on learning experience where you can get all of your questions answered. 2. Your 2017 Xplorer instructors are engaging, experienced professionals from the SEGD community. Explore what Chad Hutson(Leviathan), Anthony Vitagliano(Digital Kitchen) and Michael Shaub(Gensler) have to say about their sessions. 3. Unless you've taken courses in experiential graphic design in the last few years, your digital skills are out of date already. (Bummer, right?) Lucky for you, Xplorer can help with that. 4. In addition to hands-on learning in an interactive environment, you also get to tour the studios of digital leaders Gensler and Leviathan, seeing first-hand how these firms operate and implement digital. Excited yet? You should be. 2017 SEGD Xplorer is only a week away, so register now!